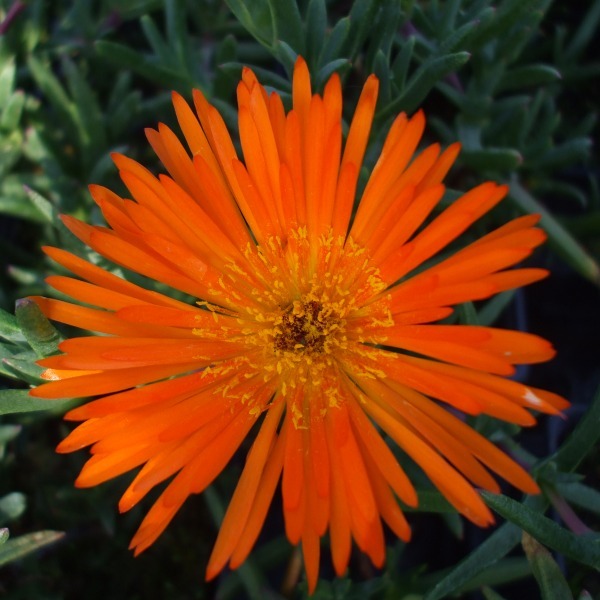 Grey-green succulent foliage, mound forming flowering May onwards, brilliant orange flowers opening with the sun. Sunny position ideal for rockery,container in free-draining compost. Half-hardy.